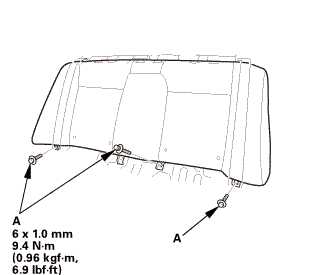 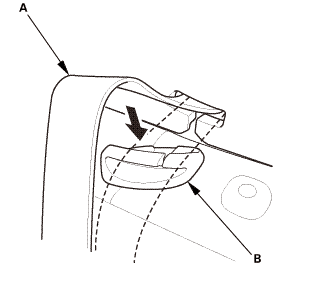 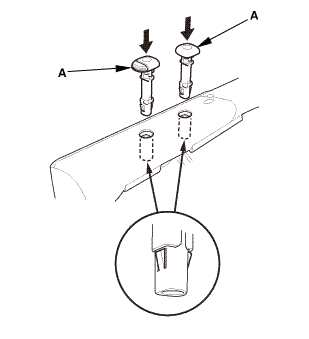 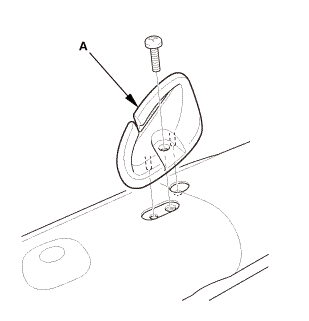 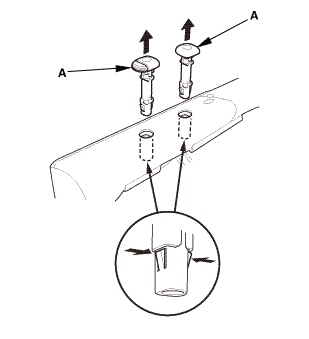 Remove the center belt guide (A). 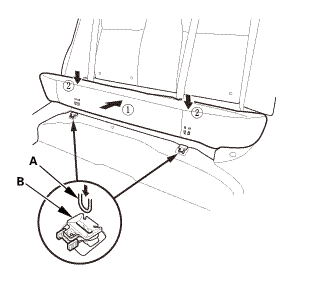 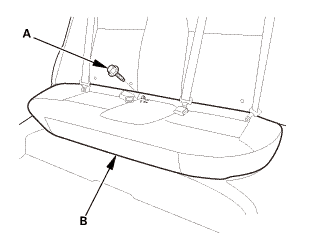 Remove the upholstery rings (A) from the back of the rear seat-back (B). 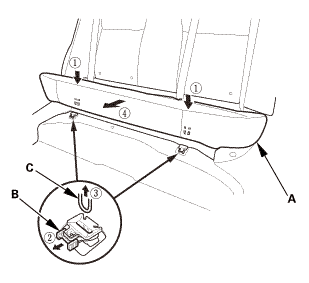 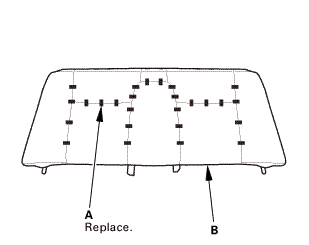 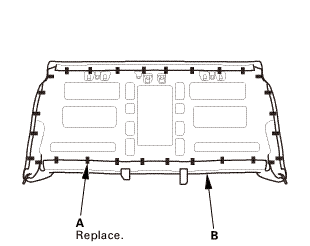 Remove the upholstery rings (A), then remove the rear seat-back cover (B). 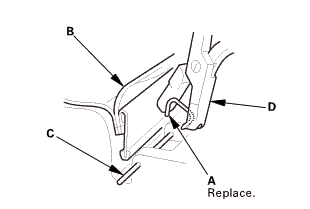 NOTE: Replace all of the upholstery rings (A) fastening the seat-back cover (B) to the pad wires (C) with new ones using commercially available upholstery ring pliers (D). 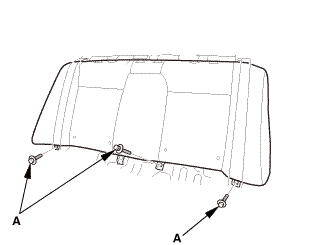 Install the rear seat-back cover (A), then install the upholstery rings (B). 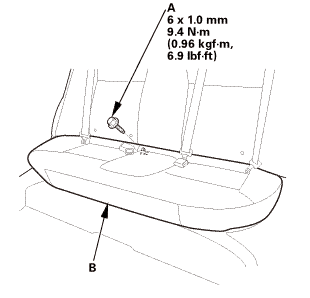 Install the upholstery rings (A) to the back of the rear seat-back (B). 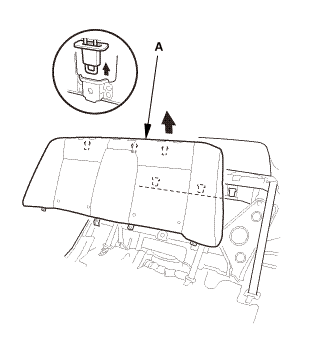 Install the center belt guide (A).